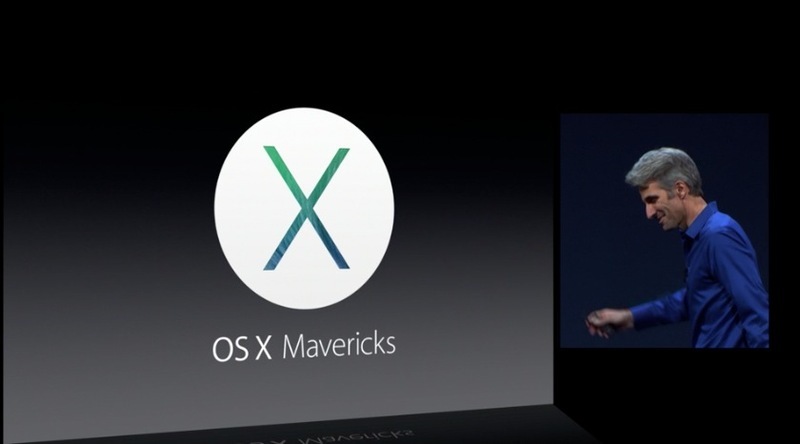 At its WWDC event today, Apple announced the next edition of its Mac OS, the OS X Mavericks. 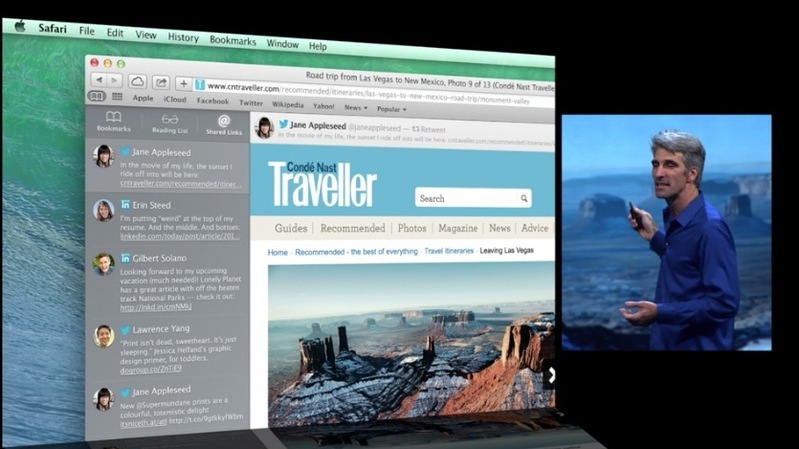 The previous edition, the Mountain Lion, launched last year, shipped 28 million copies. 35% of Mac users are using Mountain Lion. In comparison, 8% of Windows users are using Windows 8. OS X Mavericks is released a with deep technology focus on extending battery life and responsiveness. The first big feature of OS X Mavericks is the new tabs feature in the Finder – Safari-esque tabs that can drag content across tabs. Finder now goes full screen as well. The next new feature is ‘Tags’ — As the name states, it brings tagging to the Mac. In addition to its location and name, you can tag a file. It’ll appear right in the Finder sidebar. You can tag things wherever they are. This is a really great feature for Power Searches. 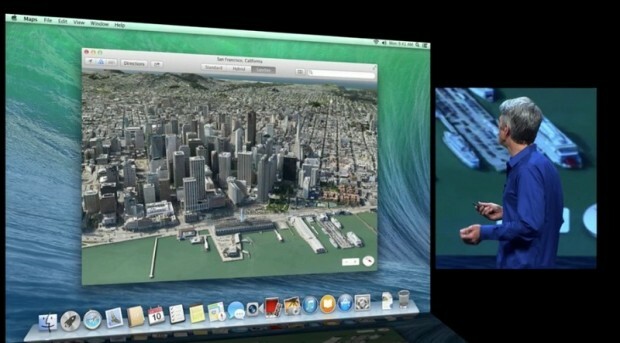 Federighi then showcased the Multiple Displays feature – you can get your menus across multiple displays. Your dock is accessed across multiple displays and when you take an app full screen, it doesn’t mess with your desktop on the other display. If you have an AirPlay connected HDTV, it can act as a full-powered HD display with individual control spaces and Mission control on each display. OS X Mavericks features Timer Coalescing: When you look at battery life, the real factor that software has the most influence over is CPU activity. “Intelligently align work reducing transitions between idle and work mode.” It reduces CPU utilization up to 72%. Clean new homepage in Safari, new sidebar, browser right from bookmarks, Reading List. It also features Shared Links: See links posted by people you’re following on Twitter or LinkedIn. It also features 60fps scrolling. App Nap shuts off CPU work when a window is unseen in the background. If a window is covered, the CPU stops processing as much, saving battery life. Improvements to notifications: Can reply within notifications for emails and messages, can delete emails from notifications. New Maps – Maps team has been making great improvements and Mac users are going to benefit. Fantastic new Maps app. Street maps, 3D, flyover data, POI, info cards, turn by turn directions. “Mavericks makes your digital life follow you from device to device.” Remembers what page you’re reading, remembers your passwords across devices. Bookmark location and travel routes. Fantastic release full of some great features for power users. Final release coming this fall.